Winking Willys Famous Fish & Chip Shop & Cafe. Did you know that our fish is actually steamed and not fried? 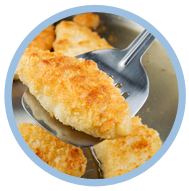 You’ll find out lots of amazing health facts about our fish and chips here! 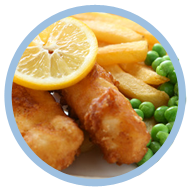 We have delicious menu of local produce cooked fresh and to order, plus a dedicated kids menu for the little ones. We cater for pre-booked parties from 10 to 280 people. 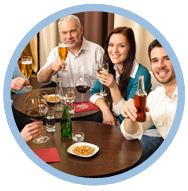 You can find out more about making a booking for your party here. Winking Willy's, 9/10 Sandside, Scarborough, North Yorkshire, YO11 1PE.